Vladimir Putin had a working meeting with Acting Governor of the Novgorod Region Andrei Nikitin. 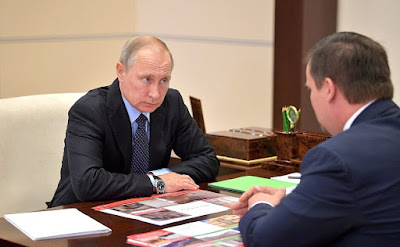 Vladimir Putin had a working meeting with Acting Governor of the Novgorod Region. Andrei Nikitin briefed the President on the socioeconomic situation in the region. Appeals that came from the Novgorod Region residents during the Direct Line with the Russian President were also discussed.